Anthem Country Club sits on a hill surrounded by mountains in the upscale community of Anthem. 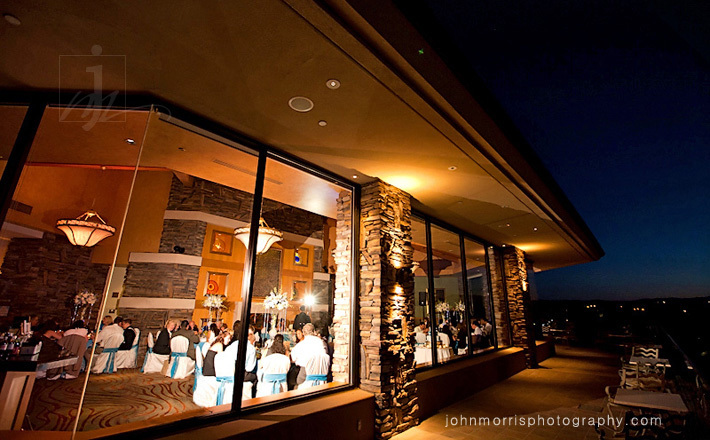 The main dining room has beautiful glass windows and a private balcony with a panoramic view of the Las Vegas strip. With its incredible views, impeccable service, and multiple ceremony locations to choose from, the country club is a perfect place to exchange vows and an even better place for photography. 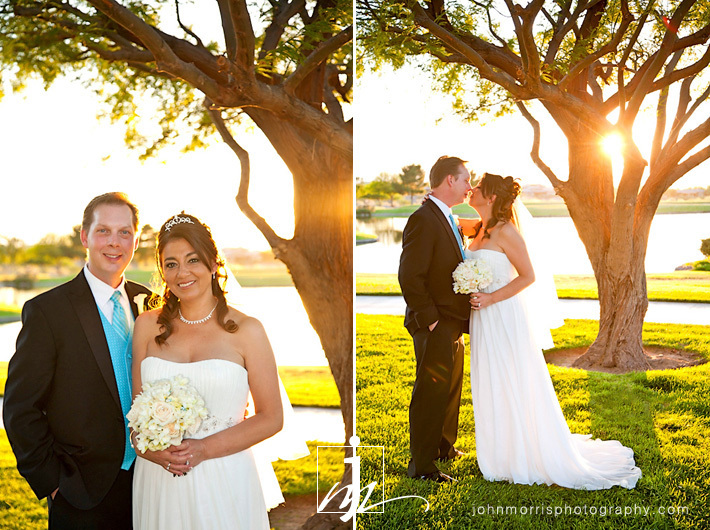 Sonia and Gregg had a beautiful wedding at Anthem Country Club in Las Vegas. We were thrilled when they asked us to be their wedding photographer because we love shooting there. You would never know it, but Las Vegas has so many elegant venues that are completely different from what most people picture when they think of a Vegas wedding. The groom also works at Marisha Floral & Event Design, so it’s no surprise that every detail of the wedding looked absolutely stunning. The amazing cake, centerpieces and table setting combined with an incredible view of the Strip set the scene for a romantic and unforgettable evening. The bride and groom had a wonderful time celebrating with their family, friends, and loved ones. When they saw their photos they couldn’t have been happier. Sonia told us how the entire day was such a whirlwind and that they were so glad to have such amazing photos to remember their wedding day. Sonia and Gregg, thanks for your patience, kindness, and a fantastic time. If you are looking for a unique venue for your Las Vegas wedding, check out Anthem Country Club’s complimentary open house next week on Saturday, January 29, 2011. John Morris Photography will be there to answer your questions regarding photography for your wedding. Click here for details. We hope to see you there!